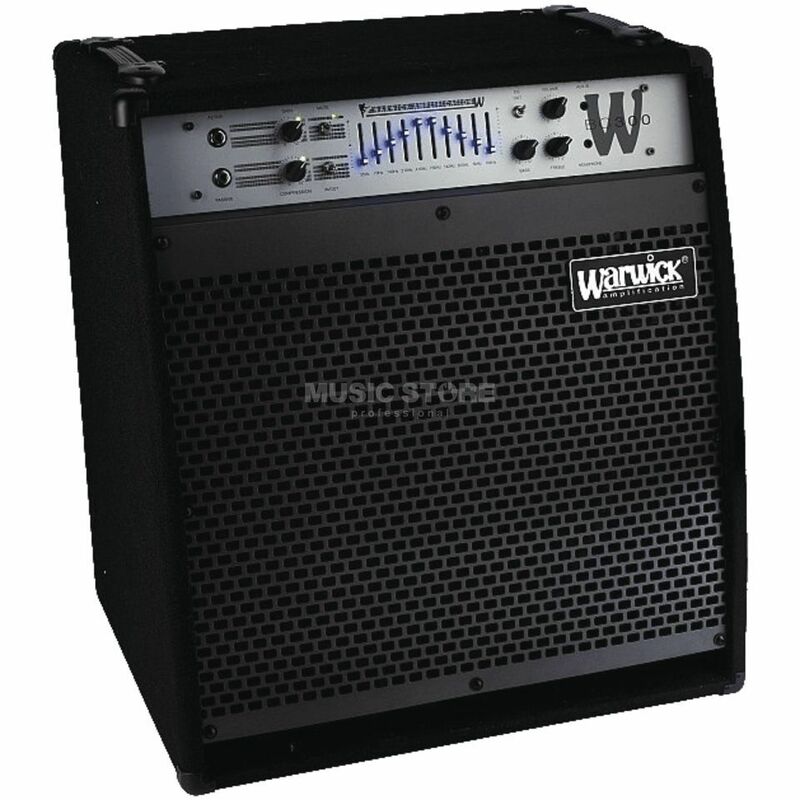 The Warwick BC 300 Bass Guitar Amplifier Combo is a Classic 10 band graphic EQ powered Bass Amp with big, powerful, tight sound in a modern package. Wow,just wow.This Warwick BC 300 is a solid state 300 watt bass amp.great thing is that you have two inputs,one for active basses,one for basses with passive electronics.If thats not enough for you,you can plug in your bass in one of the two mentioned inputs and your acoustic guitar in other at the sam time! !You also have a 10 channel equaliser which is great to bring your tone near perfect!